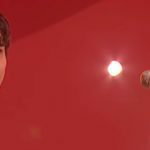 But they had to accept that Alexander Rybak stole much of the show. A sold-out Culture House and tense Culture-School students. 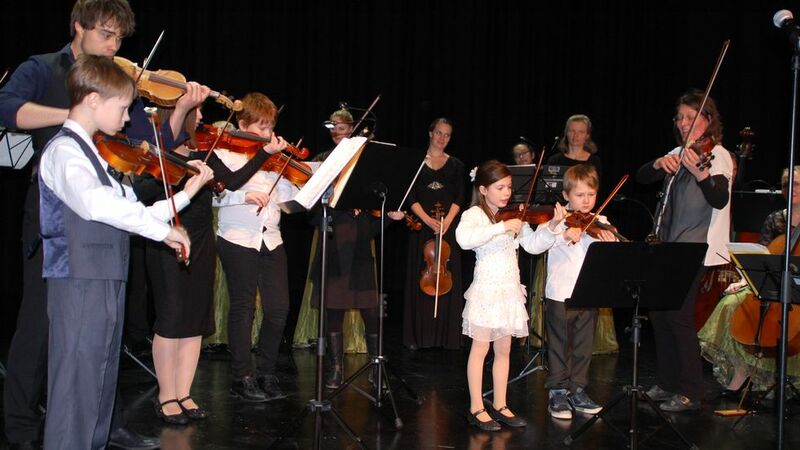 Playing with big stars like TrondheimSolistene is not common for pupils, who stroke the arc over the violin strings at the Culture-School at Frøya. 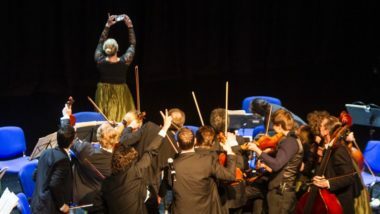 And in addition, they were to perform together with Alexander Rybak himself, known especially for his “Fairytale” from the Eurovision Song Contest in 2009. 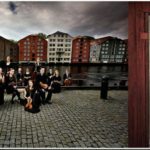 But after a little rehearsing together, earlier in the afternoon, a handful of violin students and a student on bass were ready to meet the audience in a packed Great Hall at Sistranda Thursday night. On three songs, the talented kids played along, before they left the stage to professional performers. And TrondheimSolistene did not disappoint. They gave the audience what they had come for, and perhaps even a little more. For one do not always know what this great chamber orchestra will offer. They master what they’re doing to the fullest, and deliver unexpected moves, both musically and physically. They are adeqately solemn in an informal way and make the audience laugh. It was breathless and passionate, beautiful and black, thoughtful and bubbly all in an eclectic mix, wonderfully presented by artistic director Øyvind Gimse. Here, Gimse told, that he withdraws as artistic director in TrondheimSolistene after fifteen years but the heir is sitting in the orchestra. He, who takes over the leadership role is Geir Inge Lotsberg. 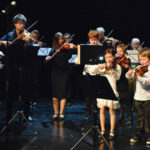 Lotsberg is, by the way, Alexander Rybaks old violin teacher, and this evening, the audience experienced the teacher and student playing together on stage in the cultural center. 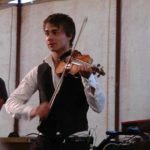 The crowd was in a good mood right from the beginning of the concert, but when Alexander Rybak, in his usual charming way, flirted with the audience, it exploded in the hall. 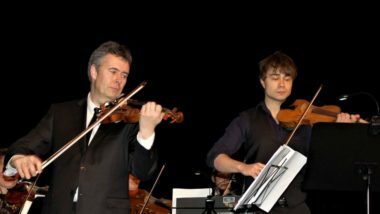 For Rybak is more than an outstanding violinist. He is a great artist in many ways, and got very good feedback from the audience. According to Rybak, he has had funny stories to tell to his mother after every visit to Frøya, like when he was escorted to Mausund by a dairy farmer in a small boat with pigs and chickens (if we understood it correctly). The truth level in exactly that story is questionable, but in any case, it gave the audience a good laugh. 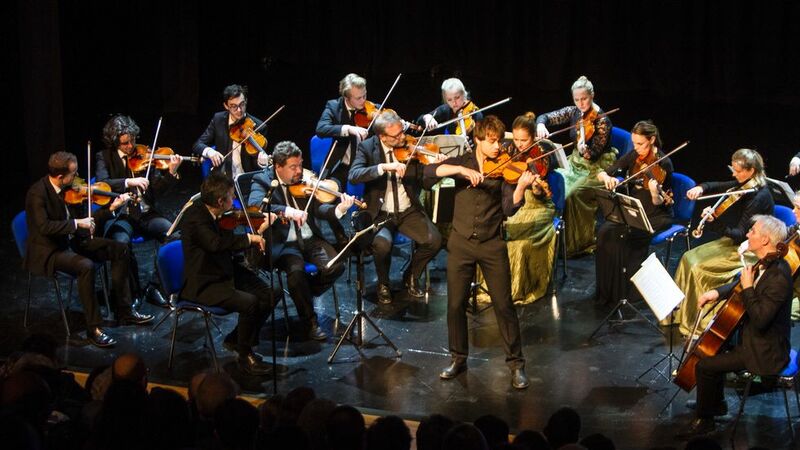 At the end, the orchestra and the guest-artist Alexander Rybak, played excactly “Fairytale”, and then a boiling audience was not slow to sing along. Teacher and Student. Geir Inge Lotsberg has been teacher for Alexander Rybak, and is guranteed to be pleased with his old student.